It's said that to play metal right, you have to get into the mindset of a permanent 15-year-old. 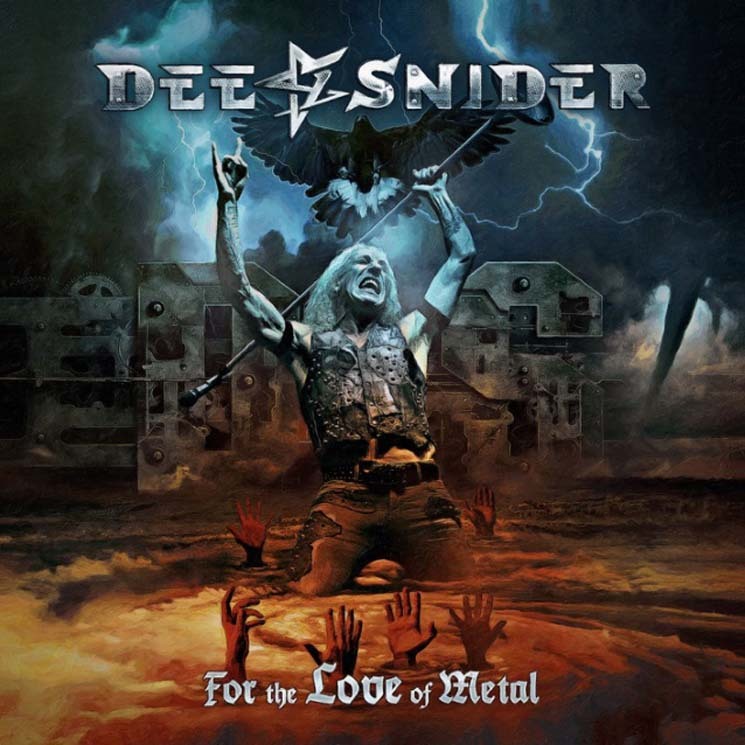 Few display this sentiment better then Dee Snider. After hanging up his garters with Twisted Sister's final shows in 2016, the Mighty Dee is now free to do whatever he wants. On For the Love of Metal, he shows what he has always wanted: to play kickass tunes and ride the lightning straight into the grave. Unlike most of the Sunset Strip scene, Dee Snider has always had an aura of respectability about him. Whether it was his legendary, eloquent speech to the PMRC, defending metal's right to exist in 1985, or avoiding the substance abuse pitfalls that befell many of his contemporaries, Dee has always felt like a straight shooter. That might be why For the Love of Metal sounds so classic. Without copying old successes, it's everything a Dee Snider fan could ever want. Lining up a killer roster of metal's top talent (Jamey Jasta, Lamb of God's Mike Morton and ex-Killswitch Engage belter Howard Jones) this record is a total blast. The lyrics on "American Made" and "Roll Over You" are a few shades shy of Chad Kroeger, but it's too camp to care. Killer riffs abound on "Mask" and "The Hardest Way," riffs that would catapult a new band to the festival circuit right away. If the title track doesn't make you throw the horns and headbang, absolutely nothing will.